Do you have a car or motorcycle that is your one and only prized possession? Are you going abroad for a period of time and want to ensure that your vehicle is safe from harm or any weather damage whilst you’re away? Even if you have a garage in which to park your car, it will still be prone to rust damage and exposed to the risk of vandalism or even theft, once the perpetrators have clocked your absence! So at the end of the day, you’re best option is to hire the services of vehicle self-storage and rest easy in the knowledge that your car or even RV is being looked after at a secure storage facility! Whether your needs are professional or personal storage facilities have large and small storage units to accommodate your vehicle, no matter its size or measurements. If you want to store a car, motorcycle, jet ski, snowmobile, yacht, van or even a truck then consider a self-storage unit or storage room to take the proper care of your vehicle. You’ll find storage facilities offer both short and long term vehicle storage, and will keep your car in secure storage throughout the year, for a matter of weeks or months and even years if you choose. An expensive item such as car, large moving van to hire or boat should be treated with the upmost care and caution and by keeping such expensive belongings at secure storage facilities you can be sure they will be safe. Storing vehicles in self-storage units or rooms offers significant benefits to both individuals and even business owners. If you haven’t got a garage space in which to park your car you could benefit greatly from self-storage rooms until such a time when you have cleared your garage or managed to build one. When it comes to belongings like boats and jet-skis, which are only used seasonally, self-storage units are ideal and extremely handy! Paying for their secure storage means you won’t have to worry about where to keep your jet-ski during the cold winter months, when you won’t brave entering the water in any capacity! Before hiring a storage facility, make sure the company is kitted out with state of the art surveillance to ensure your vehicle is under constant monitoring and in the safest and most secure storage room! Another thing to look out for when visiting storage facilities is to make sure they have good lighting on their grounds! Now, you may be asking yourself what storing your vehicle will cost you and will you have to take out a second mortgage just to keep your car in storage for a while? The answer is probably not! Depending on the size of the vehicle, there are different sized storage units. For an average sized-care the most practical self-storage unit to use will be one of 10 x 15 feet. However you will require a larger storage facility if you’re storing a boat or RV. 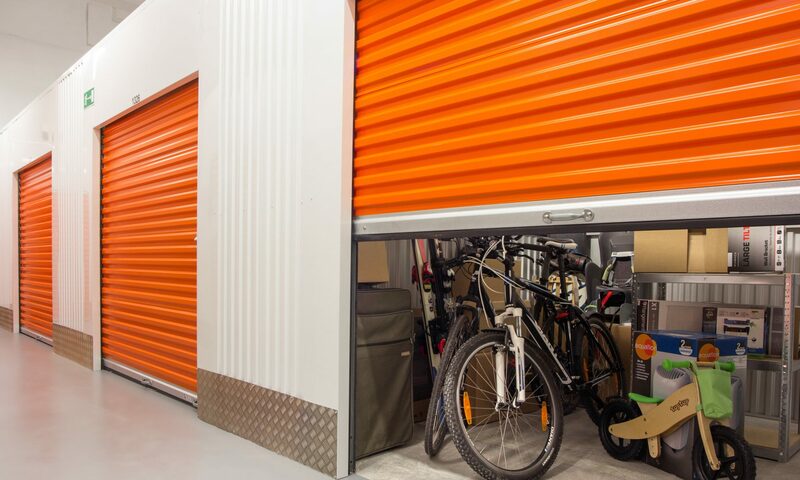 Storage units measuring 5 x 10 or sometimes 10 x 10 are large enough to accommodate smaller vehicles like jet skis or motorcycles. Remember that no storage company will consent to storing a vehicle that does not have the proper paperwork, such as deeds of ownership and title and registration documents. So before you even attempt to decide on whether or not to store you vehicle, ensure that it is street legal!